Wisconsin Winter engagement sessions can be a challenge. My couples have to be prepared to fight through the cold while looking their best! In meeting Aislinn and Jamal, I hoped that the weather would work with us to give them a great experience. Not only was the weather COLD but they had also just tackled a five hour drive from Minnesota! 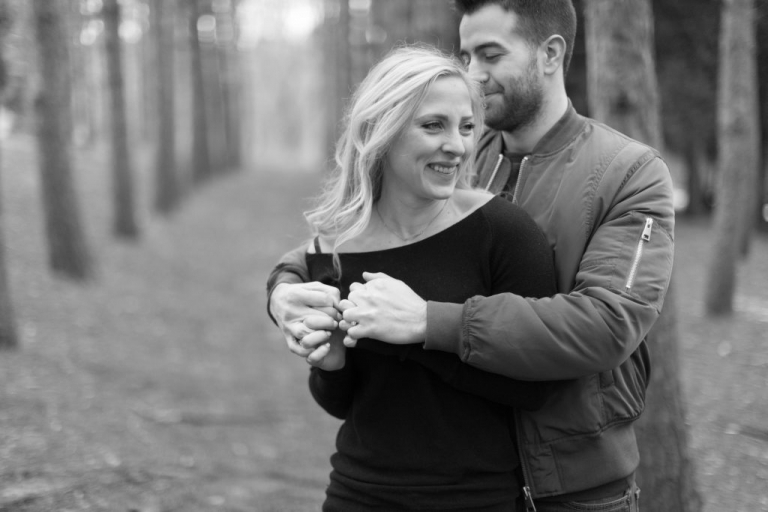 The minute we met and started shooting, they proved that they would not let those obstacles stop them from cuddling up and celebrating their engagement. They took their session as preparation for their December wedding. 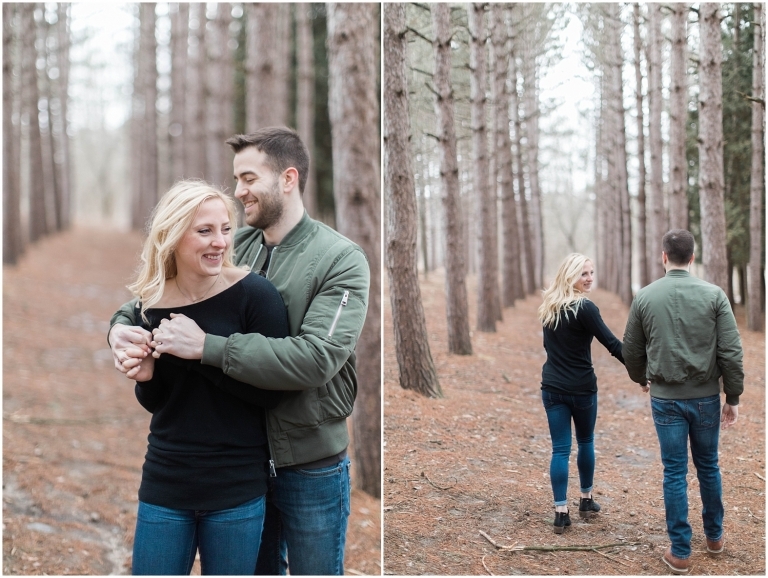 These two are extremely adorable and I can’t wait to stand next to them on their big day! I first met Ashley over three years ago. We were introduced by a mutual friend who talked us into doing our first half marathon! I continued to get to know this beautiful lady more as I got to work her best friend’s wedding a year ago. That is where I quickly met her then boyfriend, Brad. I noticed right away how much they adored each other. When she contacted me with news that she was engaged and wanted me to be by their photographer, I couldn’t have been more excited! 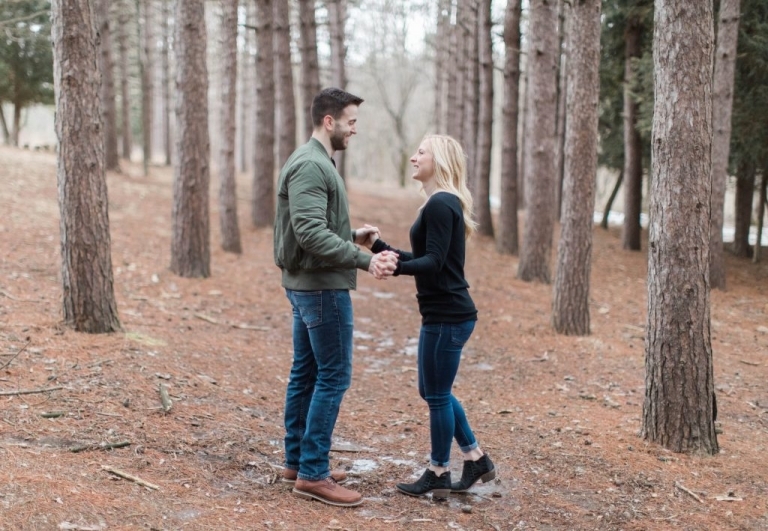 These two are so cute together and its easily shown in their engagement pictures. Next year will be here before we know it and they will soon be hitched! We could not have asked for a better evening to capture this couples’ engagement. In spending time with Jessica and Jacob at their session, I really got to learn about them as a couple, I could not be more excited to document their love for one another. I hope you all enjoy these images as much as I enjoyed taking them!! I first met these two lovebirds at Starbucks and instantly knew they were a match made in heaven. When asked how they met, they told me that they started off as friends back in high school when they worked out together at Snap Fitness. They soon began dating, young love. But when the time came for Nicole and to leave for college, the couple went their separate ways and agreed to stay friends rather than to try to maintain a relationship long distance. A few years had passed when Hans decided to reach out to Nicole to see where life had taken her. Well, destiny had its way and Nicole had moved back to the area. The two picked up where they left off and the rest is history. 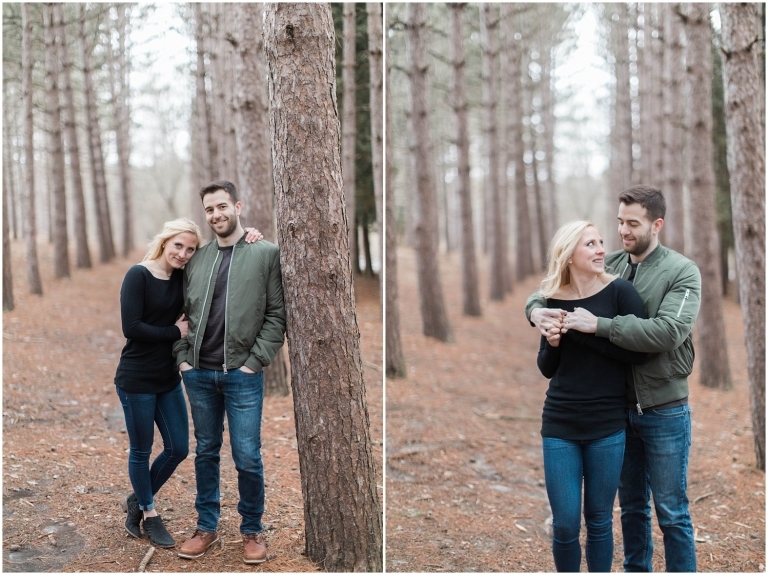 A fun, light-hearted couple, Hans and Nicole are a joy to be around. While we anxiously await the couple’s beautiful wedding to come this October, we can at least sit back and enjoy their engagement pictures.